In this day and age, simply making enough money to pay your bills and cover the essentials can be difficult. If you are drowning in tax debt or have been threatened by the IRS, you may be feeling overwhelmed and unsure who to turn to. At The Law Office of Tony Ramos, P.C., our San Antonio tax debt relief attorney has 40 years of varied legal experience including helping individuals like yourself seek resolutions for tax debt. If you simply don't have a way to pay what you owe, or cannot pay the entire amount, we can help.The Law Office of Tony Ramos, P.C. 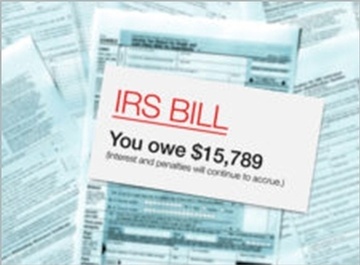 offers personalized solutions to relieve your tax debt. Need help with an Installment Agreement? Talk to our Tax Debt Relief Lawyer in San Antonio, TX! What Are the Benefits of an Installment Agreement? Were You the Victim of Fraud? If you were the victim of a fraud, such as a Ponzi Scheme or other financial damage, you may be able to get back up to 40% of your losses according to the United States Tax Code. An installment agreement can help you pay back what you actually owe, even if you have been defrauded by an unscrupulous scheme. Contact San Antonio tax debt relief lawyer to avail the installment agreement service offered by The Law Office of Tony Ramos, P.C.